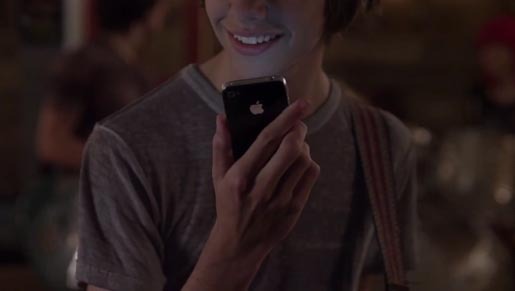 Apple is running two new commercials promoting the iPhone 4s Siri capacity, “Rock God” and “Road Trip”. “Rock God” picks up on the personal interaction between a young rocker and his phone. “Road Trip” takes the iPhone on a series of journeys, providing clues and direction all the way. The iPhone 4S Rock God and Road Trip ads were developed at TBWA\Media Arts Lab, Los Angeles, by executive creative director Eric Grunbaum and Scott Trattner, creative director Chris Ribiero, creatives Aimee Lewis, Brooks Jackson, Chuck Monn, Deborah Casswell, Joe Fotheringham, Kevin Butler, Mark Sloan, Niraj Zaveri and Tim Holden, agency producers Mallory Gordon, Stephanie Gocke and Trang Huynh. Filming was shot by director Mark Romanek via Anonymous Content with directors of photography Jason McCormick and Jeff Cronenweth. Editor was Jared Coller at Nomad. Post production was done at D Train, Los Angeles.